Showing results by author "Kathie Dior"
The Scariest Way in the World to Learn Spanish! 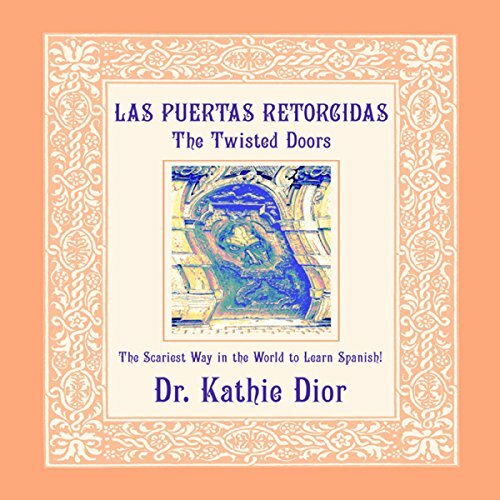 Las Puertas Retorcidas (The Twisted Doors): The Scariest Way in the World to Learn Spanish! is an exciting audiobook that teaches Spanish by capturing and immersing students into a mystery adventure. Listen to the intriguing mystery as it is dramatically narrated by native Spanish-speaking university professors. And to enhance your Spanish-learning experience, be sure to get the companion bilingual Spanish/English book by the same name, which will allow you to read and follow the audiobook’s Spanish narration with a word-for-word English translation. Needs to be accompanied with a book!